I read that in Japanese culture when someone folds a thousand cranes (Senbazuru in Japanese), they can be granted a wish by a crane. Such a gift is usually given to friends or family to wish them a long life, happiness, luck, or well-being. Here is a close-up of some of the cranes. They can be folded with solid color paper or those with designs like kimonos patterns. 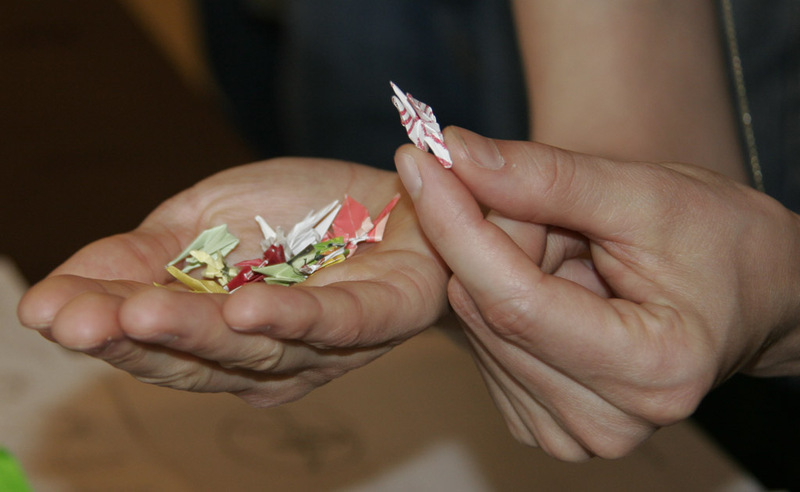 Skilled origami artists can fold these miniature cranes. Do you see the difference in size? Click here to fold your own thousand cranes step-by-step. I've never understood totally the crane thing but the strings of cranes that people put together including yours are all like little prayers. I've never seen the tiny crane you show. That is very cool. 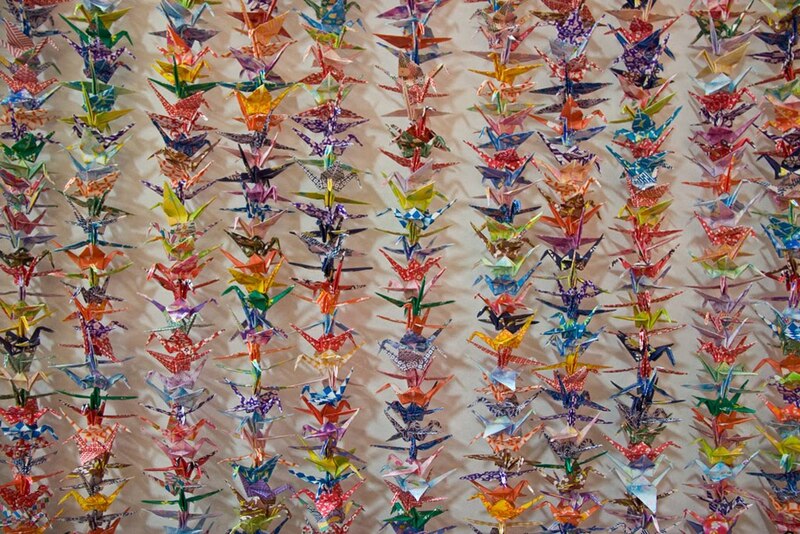 I wish you all the best with these thousands cranes. and in Korean culture too, I think. wow, they definitely look gorgeous, especially when they are grouped together like in the first picture. this is an extremely cool and rewarding craft project for everyone. my eldest daughter is fond of folding cranes too. 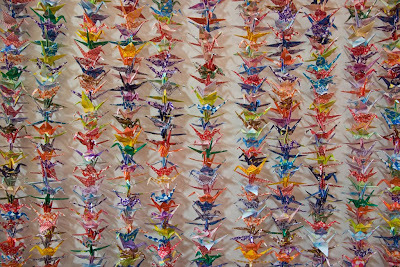 Well you would need a long life to have the time to sit and fold a thousand cranes. May good luck come to you for sharing these with your readers! Yogi: I can't imagine anyone folding 1000 of the miniature cranes. Rainfield61: Thank you and same to you! Lina: You might be right. I think it signifies good luck in several cultures. Betchai: They do look impressive with so many strung together. LifeRamblings: It looks fun to do. Hope your daughter has done her 1000. Ryan: Haha, you got that right. Very cool, Karen. Cranes are revered and respected in the Asian cultures. And what a fun art form. thanks for the info and link.